Radar shows a line of strong thunderstorms moving toward the Philadelphia region. The storm's capable of producing 65 mph winds and hail, the National Weather Service said. 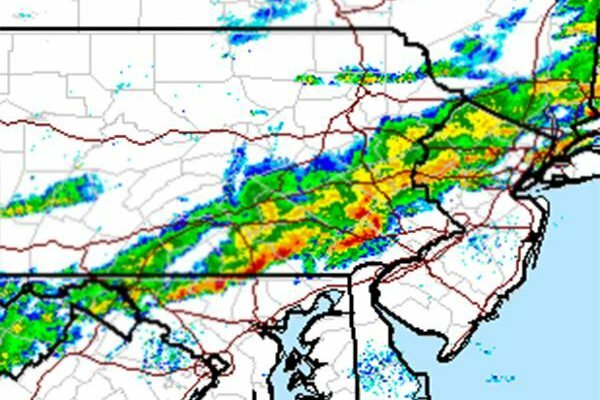 A National Weather Service-issued tornado warning for parts of Montgomery and Chester counties, has expired, but a severe thunderstorm warning remains in effect for most of the region as a line of dangerous storms moves through the area. Doppler radar indicated the severe thunderstorm was capable of producing winds up to 65 mph. Penny size hail may accompany damaging winds.